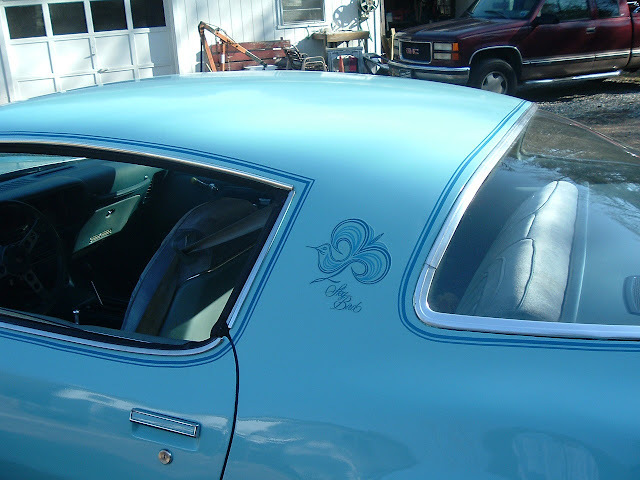 In 1970 Pontiac introduced their revamped Firebird, which lived on a 2nd generation Camaro F-platform, but with some unique Pontiac flair, such as Poncho and Oldsmobile V8s. 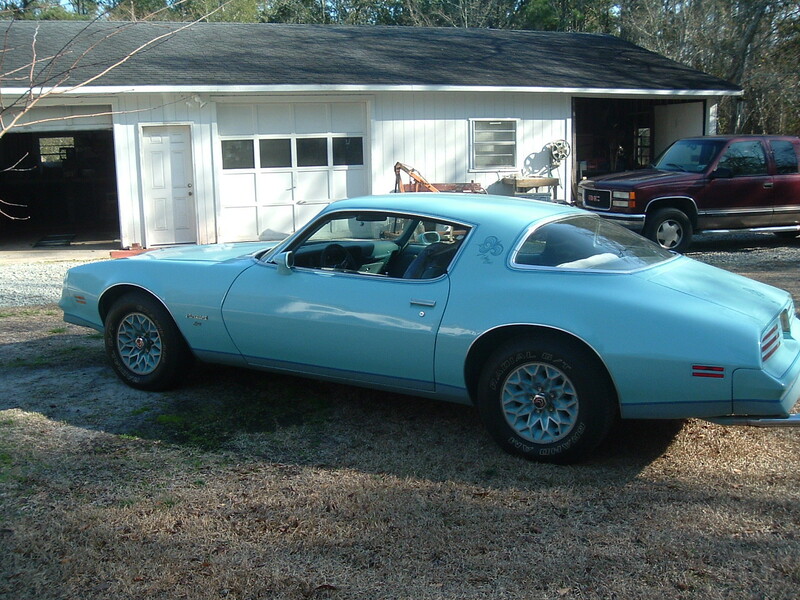 But what really differentiated the Firebird from the Camaro were the strange option packages, like today's Skybird. Find this 1977 Pontiac Firebird Skybird offered for $13,000 in Palmer, AK. Tip from Zach Z. 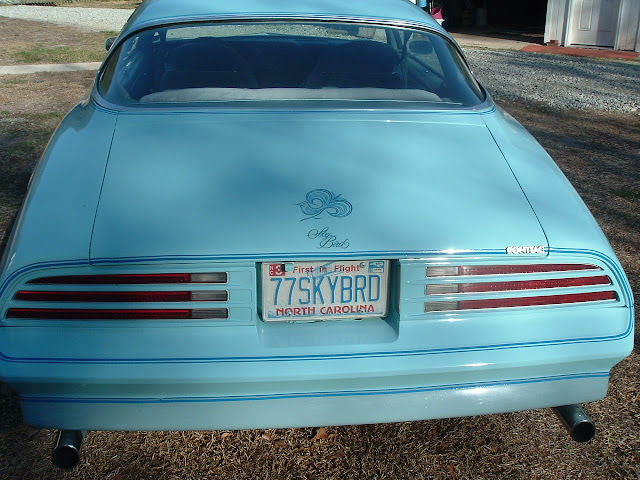 The SkyBird was one of was one of several special edition Esprits that came in unique colors. The SkyBird was a nice shade of sky blue, but you could also get a Yellowbird and a Redbird, but these were not highly optioned big block beasts, these were secretary spec 3.8 or 4.1 V6/I6 dogs. This particular SkyBird looks in fair shape (see a full catalog of pics here) and was featured on episode of My Classic Car -- you know, the show with the guy with the crazy mustache. The car has 56,000 miles on it, one repaint in the factory original color, but needs a "tune up" and has some rust developing under one of the quarter panels. The 1% must be the dryer exhaust hose for the air cleaner. So I was perusing Silodrome yesterday and what should I see but an article on these 2nd gen F-platform cars going in the 45-65k region at Bonhams and all I could think is WTF.